Capercaillie Wines was established in the Hunter Valley by Alasdair Sutherland in late 1995 when he built a small modern winery on an excellent 20 year old vineyard. 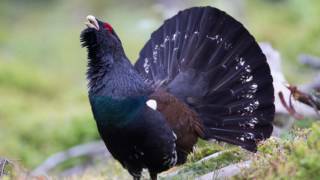 Alasdair was a Scot, his heritage is reflected in the very name 'Capercaillie'. It is the Gaelic name given to the black woodlands grouse, native to the pine forests of Scotland. In the 20 plus years since the winery was established, Capercaillie has built a firm customer base in domestic and export markets and has gained a reputation as a quality producer with many award winning wines. To enhance the already extensive range of individual Hunter Valley wines, Capercaillie has chosen select parcels of grapes from other proven regions of Australia, creating exciting multi-area blends which highlight climatic and varietal differences. Make Capercaillie Wines a must stop visit on your next Hunter Valley trip. Their friendly, knowledgeable staff will show you through their premium wines. Ask about 'The Clan Club' to ensure you're part of Alasdair's dream.